Hi everybody! 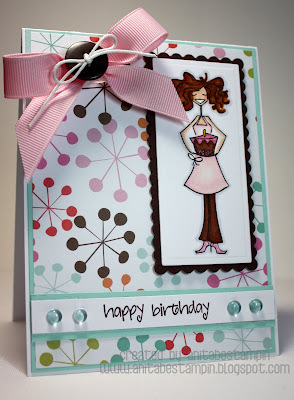 :) Today I am sharing a few birthday cards using stamps from Stamping Bella. I recently had a request for a large number of cards come in, and I have been super duper duper busy meeting the deadline. 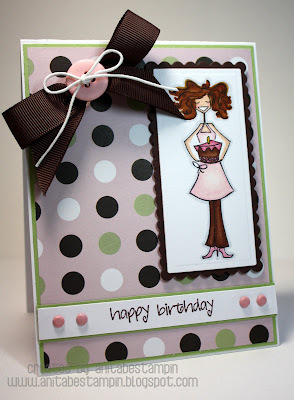 You may recognize the layout of this card as I have used it in the past. It's one of my go-to birthday cards...LOL. I am also preparing to attend the CHA SuperShow in Chicago with my pal Lelia. I am soooo excited!!! I promise to get back into the swing of things with my blog as soon as I get back. Oh yes, and I will have a little surprise for you while I am away too. Be sure to stop back later this week and check out my little treat for you (wink).